The Smokey Generation is a website dedicated to collecting, preserving, and sharing the stories and oral history of wildland fire. The story of wildland fire has been told in numerous forums and formats. It is told through the history of our land management policies, commencing when the nation transitioned from indigenous fire use practices to colonial burning for land clearing. It’s told through the media, with seasonal coverage often shrouded in hype mixed with facts. It’s told through the rings of trees, marking cyclic fire regimes in circular regularity. It’s also told by those living in fire-prone ecosystems, in the creation of defensible space around their homes. What I find interesting is that the story of wildland fire has its own vernacular — formed in the same way fire burns, with a beautiful complexity and frank purpose; it responds to its setting and creates change as it develops. The Smokey Generation is a project that is rooted in understanding and celebrating that vernacular (and the wildland fire community that surrounds it) through the collection, preservation, and sharing of stories about wildland fire by wildland firefighters themselves. It’s a project that values the history of fire and, at its core, is designed to get us talking about the importance of fire in the environment. Please enjoy and thanks for your support! Check out this newest addition to our video collection, the first of a brand new series called, The Power of Stories. As author Libba Bray says, “There is no greater power on this earth than story,” and that’s more than evident in this short film titled, Close Calls and Tragedies from the Fireline (a compilation of some of our interview participants recounting tragedies and close calls from their fireline experience). These stories hold hard lessons, heartrending tales, questions of whether or not the right decisions were made, and reminders that the wildland fire environment is full of risk and adversity. Take a few moments to watch, share, and learn – this history is important and the stories contained in this collection are powerful. Stay tuned for more videos from ‘The Power of Stories’ series. Full interviews of many of the participants featured in this video will be posted on the View by Person section soon. The Smokey Generation showcases the stories, thoughts, lessons learned, and oral histories of wildland firefighters. It’s all about telling fireline stories, preserving the legacy, highlighting the culture, and exploring the role of fire in the environment. You can see full interviews on our Stories by Person page, or explore different aspects of wildland fire by checking out our Stories by Topic page. Want to understand the terminology and context of wildland fire? View our ConTEXTualized Stories page to see visual definitions of terms and fireline concepts, while our Talking Maps will give you some great geographical reference. Here are a few vignettes from our recent time at the 2016 Women-in-Fire Prescribed Fire Training Exchange (WTREX). More to follow soon. Enjoy! 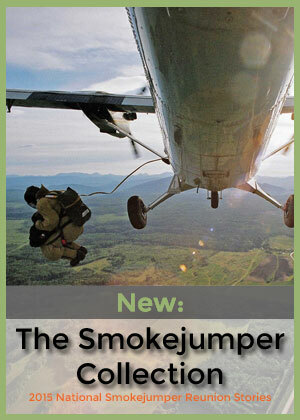 Our new Smokejumper Collection is live! Check it out today! Introducing our new Wildland Fire Historical Photo Library! The Smokey Generation is pleased to partner with The National Smokejumper Association in the creation of the Smokejumper portion of our Wildland Fire Historical Photo Library. Current and former smokejumpers can contribute their photos to the project here: Upload your Photos or Videos! If you’d like to send your photos for scanning or have large numbers to contribute, contact us here. You can view the collection on the site (under: Featured Collections > Wildland Fire Historical Photo Library), or on our Smugmug site here. Click on the National Smokejumper Association logo to go directly to the Smokejumper Photo Preservation Project on our Smugmug site.. The story of wildland fire is more than what’s told on the evening news. Many people only experience wildland fire through the media or when their homes or properties are affected, but wildland fire deserves to be given context outside of these emergencies. By sharing the stories of wildland fire professionals, we’re able to educate ourselves about the broader reality of wildland fire. The Smokey Generation captures wildland firefighters talking about their experiences, describing close calls, showcasing their camaraderie, and exploring their various histories—with a view towards their shared future. The stories ignite the imagination, provide intriguing perspective, and showcase the fascinating culture of the industry. Gina Papke, current Program Specialist and former Hotshot Superintendent, shares stories of several burnout operations, including a classic story about a burnout gone wrong in Canada. A BIG “thank you” to our fantastic supporters and sponsors for making our Kickstarter and GoFundMe campaigns a success! 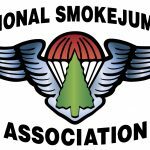 Because of the generosity of our supporters and sponsors, The Smokey Generation has been able to collect fantastic stories during several unique initiatives, including the 75th Anniversary of Smokejumping/National Smokejumper Reunion in 2015 (from smokejumpers representing every decade from the 1940s on), and during our first ever ‘Fire Stories’ Road Trip in 2017. If you’re interested in donating to the project, click here to become a sponsor or supporter today.